Whether you are looking to upgrade your existing suite of office technology or are in the process of finding the machine that is right for your personal use at home, a multifunction printer may be the perfect solution. An all-in-one machine comes with the ability to print, copy, scan and fax all from the same machine – but is it too good to be true? 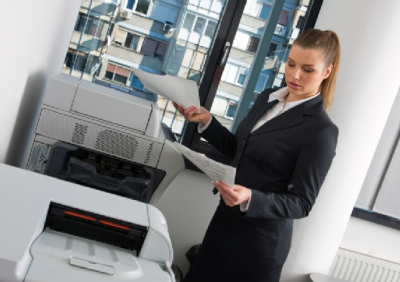 Can multifunction printers really do it all? In short, yes! All-in-one printers are a great option for organizations of every size because they truly can “do it all.” At Pacific Office Automation, we offer a wide range of office solutions from the most trusted manufacturers in the industry, and we stand behind our all-in-one printers and their wide range of capabilities. All-in-one printers are a great office technology solution because they provide every print production option users might need, under a single machine. With all-in-one printers, users only have to learn how to manage one device, which typically means there will be shorter setup, less maintenance and less support. All-in-one machines are typically very easy to maintain because there is less device to take care of and users understand management better. All-in-one office machines are also great space savers. Whether you need office technology for your workplace or home, multifunction printers provide the most versatility in the smallest amount of space. No more bulky printers, copiers, scanners, and fax machines taking up the majority of your workplace; with an all-in-one printer you can produce the same amount of materials using only a quarter of the space. Finally, multifunction machines are cost effective. Because it can be more expensive to purchase a complete suite of office technology piece by piece, the wide-variety of production print options available through multifunction machines gives users the most bang for their buck. Save money on upfront costs, but also on total operating costs, as running one machine is more energy efficient and cost effective. If you are interested in learning more about multifunction machines and would like help choosing which piece of office technology is right for you, contact Pacific Office Automation today. Our award-winning customer service and sales team can help pick the perfect solution to streamline workflow and restructure business processes.